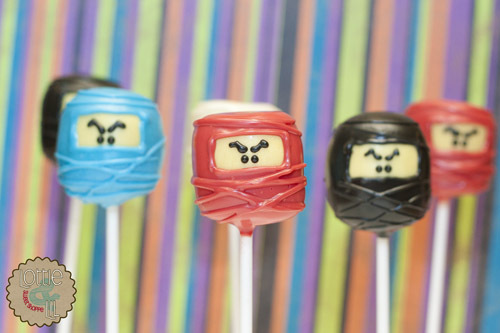 The fierce ninja Lego characters were the theme for this little boys birthday party. 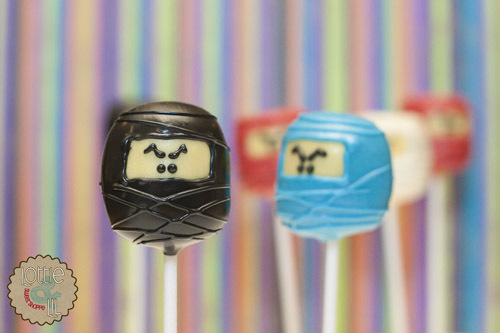 Ninjago cake pops were created in the four colors of the ninjas for all the little warriors to enjoy. This entry was posted on Monday, April 29th, 2013 at 11:43 am	and is filed under Birthday Pops.